A variety of different types of piano music are introduced that includes compositions with various notes. All these music pieces have chords as their fundamental for creation of different sounds. Chord basically is a group of notes played together in order to create a coordinated sound harmony. When you hit two or more than two notes together over your piano keyboard, you create a chord sound. Chord improvises your melody and accompanies it to create the rhythm that is required for a song to be played over piano keyboard. 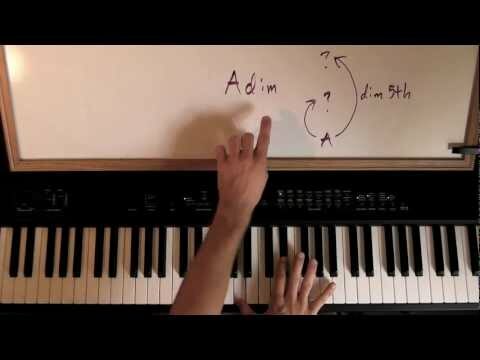 Whether you are a beginner learner or are a new piano teacher, with understanding of how basic chords work? You will be able to deliver anything at all. With understanding and clear concept of working of chords, you can learn to play even more quickly. Converting chord symbols in to key notes. In order to get better understanding of basic chords working, we are using an example here that is Bbm7. Bb – First letter of the chord which is termed to be the root of the chord. Similar to the roots of a tree. This is from where your tree of chord will grow. Knowing the root would give you a know-how of how you can build the rest of it. m7 – Next is usually a letter or number or both and this note would give you detail on what notes to build over your root note. Here by the chord symbol m7, it means minor 7th. Here the letter m tells you what action would be required on 2nd note of chord. 2nd note of the chord would be 3rd note of Bb major scale. By m it means that you need to lower the note by one semi-tone. The complete chord is Bb Db F Ab. So this is how you can drive basic working of chords. Chords are built on notes and thus if you know all the key notes of music ABCDEFG, you can work your way by skipping different notes. For example C major chord would have notes like C E G where we have skipped the alphabets D and F. This method of working with chords would differ in skipping according to various symbols of chords. By learning basic concept of chords, you will be able to play them with ease. Identify the key signatures for major keys. Learn about symbols that what they mean and with understanding of these symbols you will be able to get a track of notes to play. Getting your hands quicker on chords is only possible by practicing and playing more. Familiarize yourself with chords is the best way to learn them. It is not recommended that you try to learn all the symbols, chords and key signatures in one go. Learning small group would be much better. It is best to learn chords for a song that you like or know the best. It would make your job a whole lot easier. Chords may appear confusing and complicated but as you begin to gain understanding of basic chords, you will find it less complicated. Get your hands on theory related to chords and learn building chords. You can also take course for the same if you want to learn to play chords in the best possible manner. As you search, you will find many talented teachers who would not only teach you basics but would give you different concepts of learning. A piece of melody would be incomplete without playing chords. As you play a melody with your right hand, use your left hand to play piano chords to accompany the melody. Chords are essential components of a melody to be complete and so it is important to have a clear understanding of these elements.